In this post, I have described the benefits and importance of Meditating Upon Om – ॐ in everyday life. Without going into the religious or spiritual importance and history of Om, also known as Aum or Omkara, which is universally recognized to be seed or basic sound, I have described how the laypersons and ordinary householders can greatly benefit by Om Meditation. Practitioners can the follow all, some or none of the recommendations given in this post and Meditate upon Om is any way or using any method, which they are most comfortable with while practicing the Meditation. Om Japa should be especially beneficial to those who are faced with a shortage of money or the basic necessities needed to live a contented life. Those who are faced with debts and loans can chant Om for Karz Mukti[Freedom from Debts]. Om Japa should also be beneficial for those people who are unemployed or living in poverty. Om Japa is useful in removing blockages and obstacles in a completing a task or assignment. It is also beneficial in removing obstacles related to employment and business. A Yellow Colored Glowing Om is considered to be the best kind of Om Image to Meditate upon by the practitioner of Om Japa Mantra Sadhana. Wearing Yellow Colored Clothes and sitting on a Yellow Sitting Mat[ Pila Aasan ] is considered to be beneficial for Om Meditation. 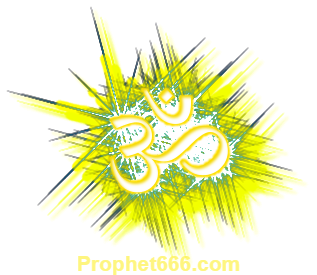 Dhyan [meditation] by imagining a Yellow Colored Om throughout the day is also very useful for the Om Meditator. Om Jap during the period of Suryodaya and Suryasta[Sunrise and Sunset] is most beneficial. Spicy and non-vegetarian food should be avoided as far as possible.